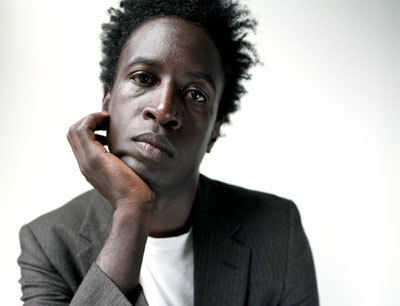 Saul Williams doesn’t like to be identified with any specific label but he has been called, poet, artist, rapper, singer and more. He first gained popularity in 1995 when he began his prolific open mic career. 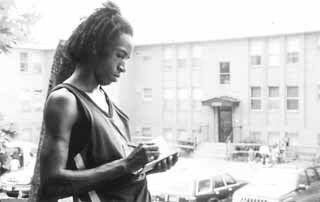 In 1996 he won the Nuyoican Poet Cafe’s Grand Slam award and a documentary film was made about him during that year. I first heard about Williams when he was chosen to star in and write for the film Slam. It was released in 1998 and won awards at the Cannes & Sundance film festivals. His poetry sounds like stream of consciousness and his delivery is explosive music. He is a thrilling performer who uses his whole body and full energy. Williams has several books including She, Said the Shotgun to the Head and last year’s release Chorus. Next Free Comic Book Day is Sat. May 4th – Here’s the Inside Scoop!